Message | Tantalizing sleight-of-hand and uproarious audience participation all conspire to provoke uncontrollable, belly-aching laughter during this evening-long magical tour de force. Pure, undiluted entertainment is the sole objective of your Evening of Astonishment, and the master magician and recipient of the coveted Gold Cups Award from the International Brotherhood of Magicians does not disappoint. Giovanni engages the audience as a “living prop” during his hilarious roller coaster ride of a stage show, using up to 20 willing participants to achieve the impossible right before your very eyes. 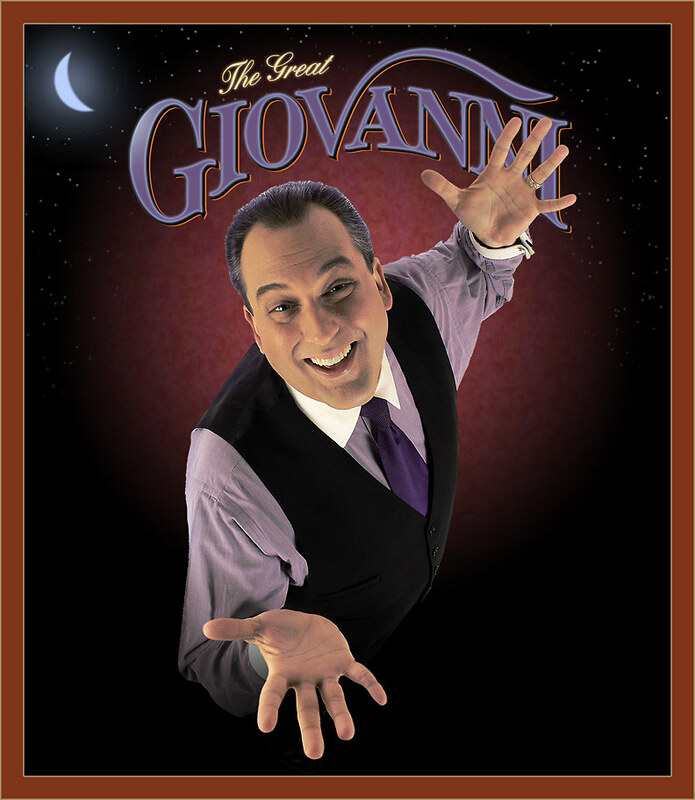 Whether you’re throwing an awards show, a banquet, or some other professional or personal event, an Evening of Astonishment with Giovanni will not only astonish your audience, but leave them struck with a sense of awe, amazement and childlike wonder. This is one experience they will never outlive. "Your incredible magic mixed with your humor and quick wit made our meeting a great success." Audience | Giovanni Experiences is passionate about delivering a customized experience that meets your objectives, exceeds your expectations and WOW’s your audience. "In addition to your dinner performance, we sincerely thank you for so generously sharing your time during the reception. You were the highlight of the weekend." "I love the way you involved the audience in your act without embarrassing them. They all enjoyed the fact that you selected them to help." and segmented shows for awards galas. Please call for tailored packages and pricing.